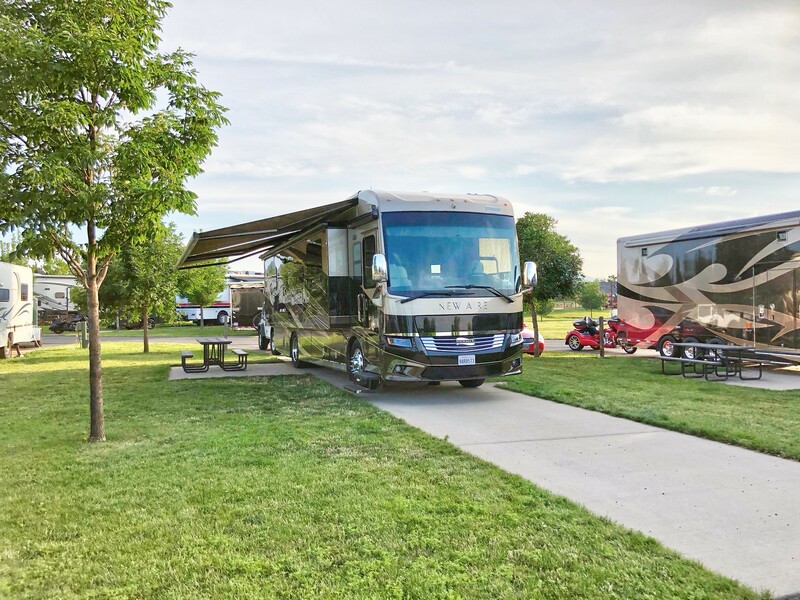 Having just finished a 5,000 mile grand tour of the country with generally good experiences the most discouraging experience in the trip was the state of RV parks across the country, particularly in the western US. Even after using all the tools on the web to pre-screen these parks before booking a night for an stop enroute, I often found the park to be closer to a refugee camp than a place I would feel comfortable spending the night. Deplorable infrastructure, full time residents living in obvious poverty and locations right next to the interstate seems to often earn a "Good" rating on many of the RV park review web sites. Based on my experience over the last 10 years the problem seems to be much worse in the western states. Are there any good RV review web sites that list "Class A RV parks" where I could spend the night in my Class A RV? In my 5,000 trip I found one enroute RV park where I was clearly "outclassed". I spend two nights at Elkhorn Ridge in Spearfish, SD. The Sturgis Bike Rally was just starting and the park had more Prevost coaches on site than Newmars. With Deadwood only 7 miles away it is in a great setting. The RV park is first class with beautiful infrastructure. Highly recommend this park. Will drive out of my way to stay here again. Here is my NA feeling right at home at Elkhorn. I have found campgroundreviews.com to be the most helpful for realistic info. Even so, we've had some surprises. Honestly, I think there is a HUGE market for this right now. I am actually considering buying some land and building one. After staying at Wolf Run in Pagosa Springs we decided we much preferred smaller, class A parks. With the number of class A, larger units being produced and sold each year, I feel like builing a smaller, higher end park that is well maintained, landscaped, and has upgraded amenities (high water pressure, fast wifi, access to mobile tech and professional cleaning services, etc. ), is a sure winner. At Wolf Run, people got together in the center of the park each night around a fire pit and waterfall, and even though people were in and out there was definitely a sense of "community" there. I also felt as though people took more pride in cleaning up after themselves and their dogs there. The owners were very visible working on cleaning and maintaining the property on a daily basis. Just an all around clean, modern, and very pleasant experience. Not knocking the older, more rustic campgrounds at all. But with the number of big rigs coming onto the market with all of the upgraded technology, and many of those owners not preferring to purchase a lot or stay in a huge class A compound, a smaller (20-25 sites) park seems to be something that would do well. good sam rated 10-10-10 parks are usually a safe bet. Too funny. DW and I have been lamenting about not being at the rally since 2013 and starting to plan a trip for the 2019 rally this morning. We were just taking about Elkhorn Ridge as a potential home base for the trip. Looked like a nice place and you confirmed that. We've stayed at Hearthside Grove in Northern Michigan http://www.hearthsidegrove.com and really liked it. It's not only Class A only but they have a 10 year rule - nothing over 10 years old, class A or not. Little excessive, but it's a nice place. Agree completely. Based on my fresh experience I would also like to invest in this market. Clearly the demand is there. Book now. Elkhorn is clearly the hub of the Class A Sturgis Harley crowd. We were the only ones there without a Harley. 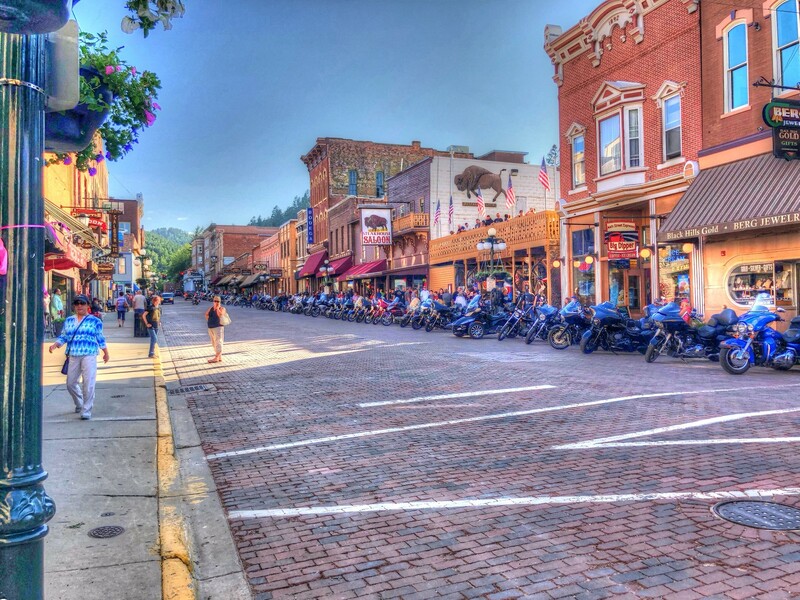 Here is Deadwood about 7 miles from Elkhorn. We've stayed at Hearthside Grove in Northern Michigan Hearthside Grove - Luxury Motorcoach Resort in Michigan and really liked it. It's not only Class A only but they have a 10 year rule - nothing over 10 years old, class A or not. Little excessive, but it's a nice place. I own a lot at Hearthside Grove and spend most of the summer there (sitting at Hearthside right now). The ten year rule here is not absolute. If you have an older coach that is well maintained they will make an exception to the rule, but you have to send them a photo of your coach so they can decide if an exception is warranted. The rule is meant to keep out “junkers”, not well cared for classics. Yeah, there are classic Class A's and then there are old Class A's My folks own a place in Harbor Springs and we stayed there as a getaway from the rest of the family. Will definitely stay there again on our next trip. Wolf Creek is an absolute gem, but it is not a good model for a business plan. The cost to develop and manage 20 or 25 spaces is very high. For the same investment in planning, zoning, infrastructure and management expense, you can build 75-100 spaces or more, spreading the cost out and bringing the average cost per site down. This results in a higher return, which is needed to justify the type of investment that is required to build a 5-star park. Also, the severe shortage of luxury RV spaces will not be resolved by building 25 at a time. We need as many of these sites as possible to bring supply into balance with demand. I would like to see new luxury RV parks of 100 spaces or more. Sure enough Hearthside Grove is number 4.